Little Wolf likes things pretty and pink. She also likes stories. Her parents have other ideas and so send her out to catch dinner. 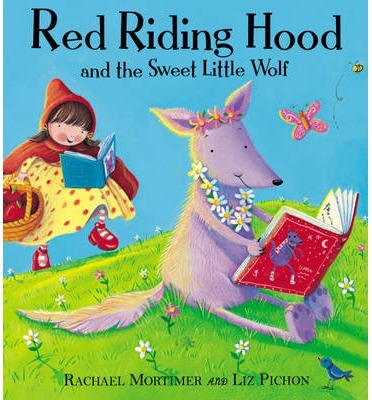 Along the way she comes across Little Red Riding Hood. A little girl is on the list her parents gave her and Little Wolf knows what she is supposed to do but she would rather listen to fairy tales. A delightful and cheekily told rendition of the traditional tale with a bit of a twist. It illustrations are bright and inviting matching the light tone of the text. Little girls are likely to love this.